Have you ever experienced your garage door stuck while moving in upward or downward direction? Do you get annoyed at the noisy operation of your garage door with a cracking noise making you embarrassed in front of your guests and neighbors? Perhaps it is time to fix these technical issues with the expert service of Garage Door Service Pomona. The major contribution to the smooth operation of garage doors is by the flawless functioning of garage door cables and tracks. Thorough maintenance service and 24 hour repairs. When you request our assistance, garage door repair services are received based on expertise, accuracy, and speed. We are fully equipped to implement even the most complex and specific solutions from opener motor fixing to broken torsion spring replacement. Do not hesitate to seek emergency service whenever the need arises to receive the fastest repair. For chronic issues like weather-damaged panels, our solution includes protection as well. Optimal safety and performance can be enjoyed every day via scheduled garage door maintenance service. 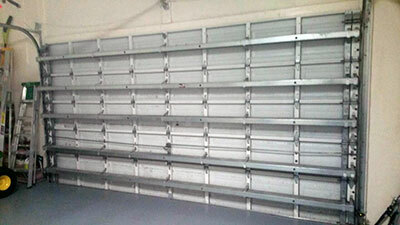 When there is a need for a new overhead door and opener, replacement and installation services are readily available. Before completing the project meticulously in the shortest time, a team of experts will provide helpful consultation. When your garage door doesn’t operate the way it is expected to, then there could be many hidden problems. Sometimes, the tracks are not well anchored to the supporting garage wall. By and large, the main cause of a garage door going off track is due to the loosening of tracks. In case the brackets anchoring the track to garage walls are loose, the bolts should be tightened. Running garage doors on old and damaged tracks causes further damage to the door and results in higher expenditure in future. Our garage door service company in Pomona is every ready to come to your rescue. The tracks should be checked at regular intervals for any indication of denting or damage. This leads to the garage door jumping off the track or getting derailed. These dents should be repaired using precise application of force at the right point. Tracks which are badly damaged should be immediately replaced. The rollers should be lubricated with silicone spray for most effective results. Loose bolts or screws should be tightened and the hinges holding door panels should be repaired replaced. Cables attaching lower-most-brackets to the garage door spring system should be checked from either-sides. Worn out cables must be replaced without delay to avoid any accident. The cables under high-spring-tension should be replaced and repaired by expert professionals of our garage door service in Pomona. The common troubles associated with cables are snapped cables due to fatigue and wear and tear, loose and entangled cables, cable off the drum which hangs the swing of the garage door and broken cable that arrests the movements of the garage door. 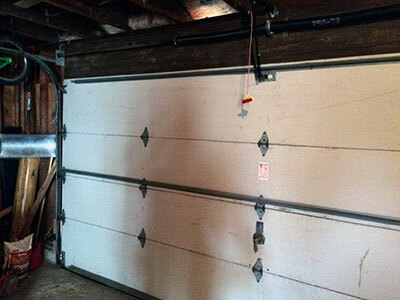 The ut-most utilized movable part of home is generally the garages-door. It comes in daily-usage which can result it wearing-tearing or breakage in various parts and can cause severe troubles if avoided for long time. Hence, it is important for a garages-door owner to keep an eye on adequate maintenance done by professional at monthly-basis in order to keep the system working without any issues. This truly is a value for money and essential for the safety of entire family. Garage Door Service Pomona - We at garage door Service Company in Pomona offer you 24 hrs & 7 days a week to tackle any complexity related to repairs or component. Just call today at 909-962-6359. The technician from our company will approach you at earliest possible and will help you to troubleshoot any matter or for any garages-door’s related assistance. If you want to know more just surf our website, you can find complete detailing and product’s info there. We are always ready to present our experienced services to our valued consumers as soon as you contact us we will be there at your door step soon.